AVAILABLE IN 1LTR, 2.5LTR, 5LTR & 20LTR CONTAINERS. SAFE ON MOST SURFACES. NON FLAMMABLE SO REDUCES THE RISK OF FIRE. THIS PRODUCT IS USED BY THE PEARLING INDUSTRY IN BROOME BECAUSE OF ITS NON TOXIC PROPERTIES. 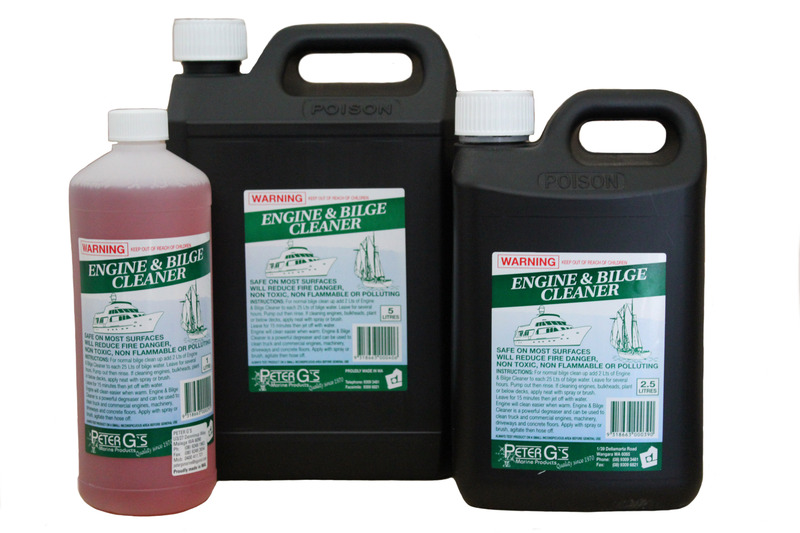 ADD A COUPLE OF LITRES OF ENGINE & BILGE CLEANER TO EVERY 25LTRS OF BILGE WATER. LEAVE FOR SEVERAL HOURS(SLOSHING AROUND AT SEA IS IDEAL). PUMP OUT BILGE WATER AND DISPOSE OF RESPONSIBLY. 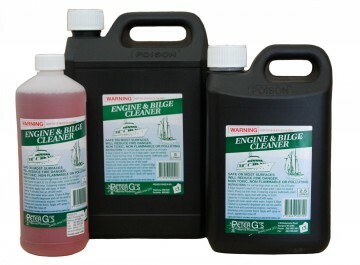 ENGINE & BILGE CLEANER IS A POWERFUL DEGREASER AND BRILLIANT FOR CLEANING CONCRETE FLOORS.